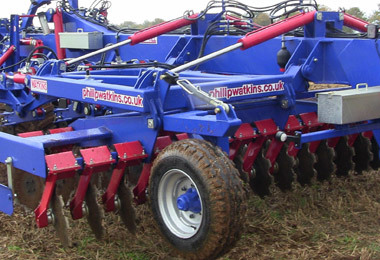 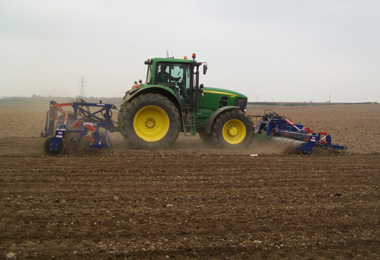 Philip Watkins Ltd manufactures a large selection of cultivation equipment to suit most soil types in addition to a wide range of Loader attachments, Trailers and Weight Blocks, a small selection of which are shown here. 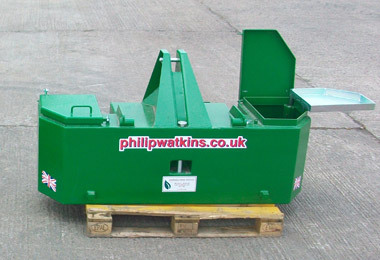 Please do not hesitate to contact us for more details on any Watkins products or for your parts requirements. 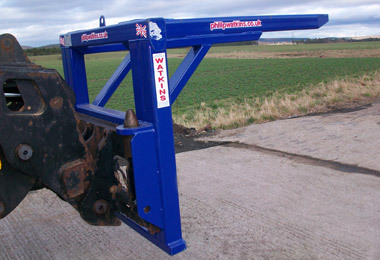 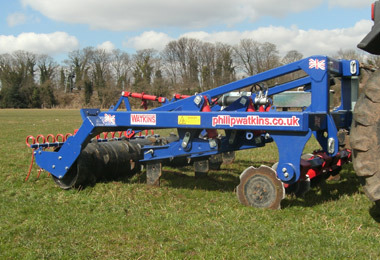 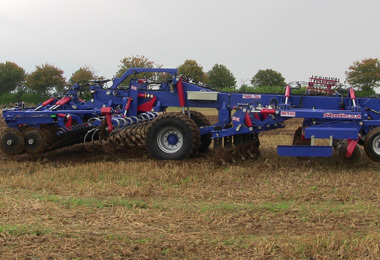 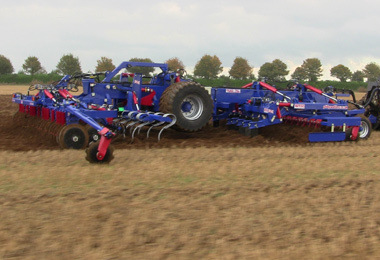 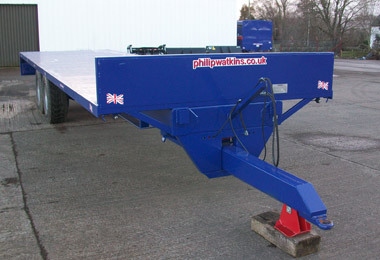 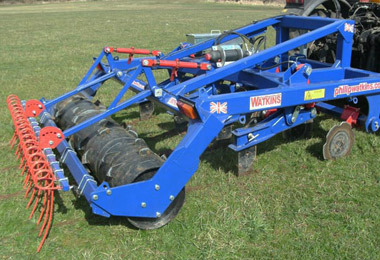 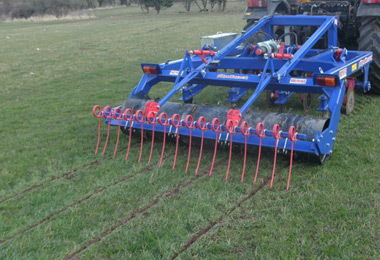 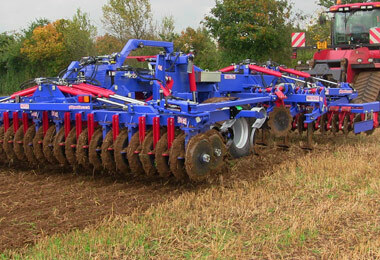 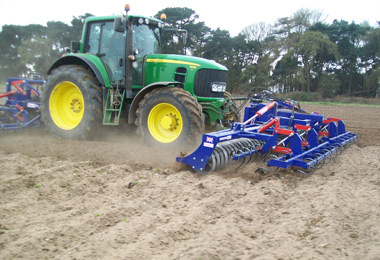 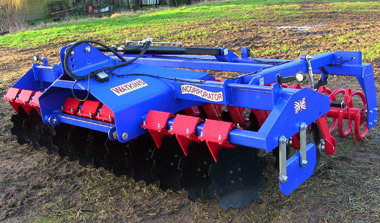 Philip Watkins Tri-Till – 3 meter. 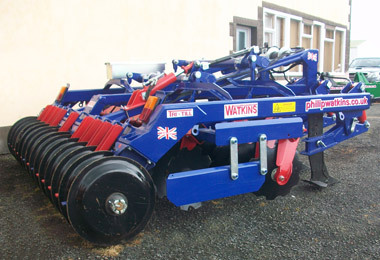 Details:- 5 hydraulic auto reset legs, hydraulic depth control discs, 600mm DD packer. 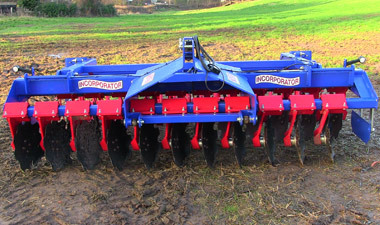 Details:- 3m Mounted Incorporator with 2 Rows 510 Discs with Rubber Suspension system to avoid stone damage, Sealed bearing for maintenance free work, Levelling Rake, Flexi Coil, LED Road Lights. 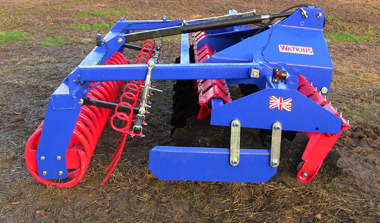 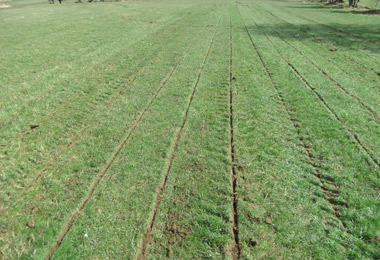 Details:- Straight, serrated discs (with rubber suspension system) cut through the turf in front of each leg. 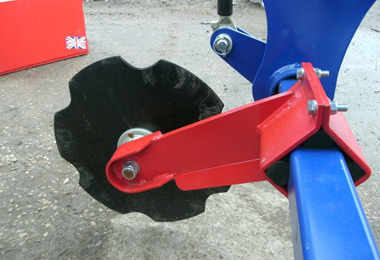 Discs and legs adjustable for depth. 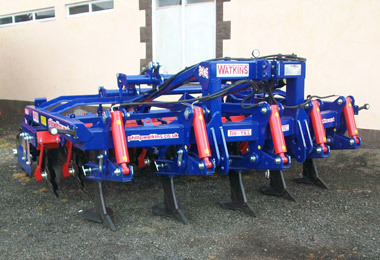 Legs fitted with low disturbance points and small wings. 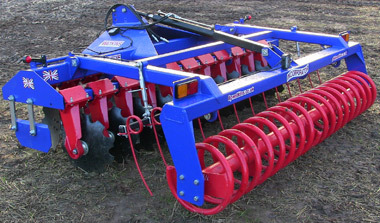 457mm diameter packer with teeth for surface aeration. 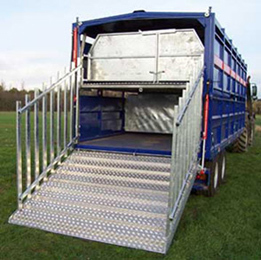 Details:- 24 foot sheep/cattle box with aluminium decking that stores in the roof when transporting cattle. 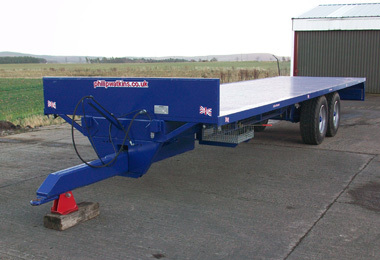 Has inside lights, hydraulic back door and decking ramp. 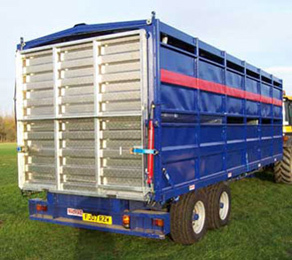 With front access doors. 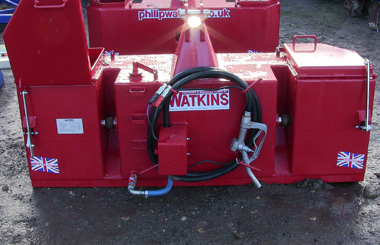 Details:- 800kg Standard Size Weight with Two Toolboxes and 200ltr Diesel Tank & Pump. 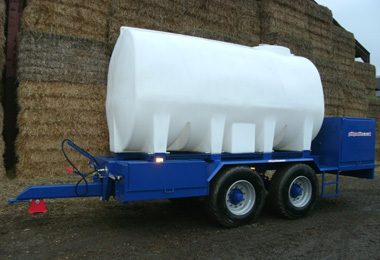 Details:- 13,000 litre Water/Fertiliser Bowser c.w Granning 10 stud commercial axles (420x180 brakes), hyd brakes, 385x22.5 wheels, Sprung drawbar, 2 x chemical lockers at front 1 x large checmical locker at back, 1 x pump locker (usual pump is Honda 600 LPM), LED lights and mudguards. 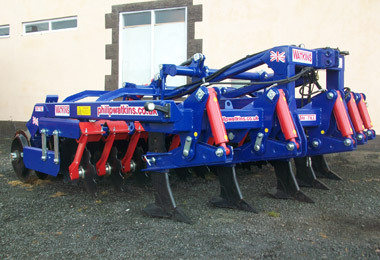 Details:- 6m Front Press with flexi coil, tines and level boards. 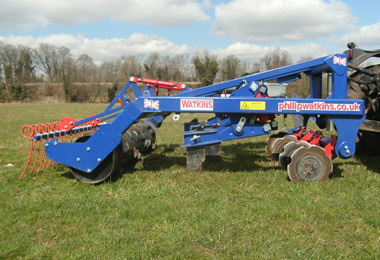 Shown here with a drill mate attached at the back of the tractor. 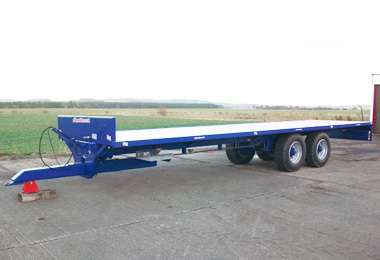 Details:- Super singles, commercial axles, sprung drawbar, steel floor. 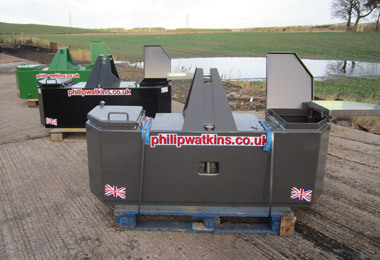 Details:- Wide range always available, from 750kg – 2800kg. 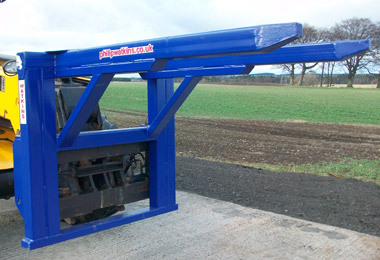 With or without tool boxes, any colour you require and to fit any tractor with or without front linkage. 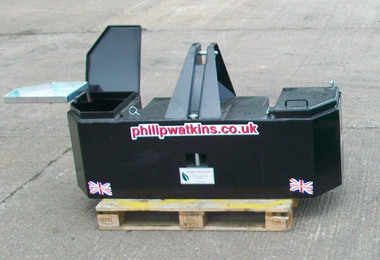 Details:- Will carry 4 x 600kg big bags.